​It looks as if Manchester City are set to cash in on another one of their youth academy talents as 18-year-old Rabbi Matondo prepares to leave the club in favour of Shalke in a £11.3m deal. Matondo left Cardiff City’s academy in 2016 to come and play for the Citizens but is yet to play for the first team despite having already earned an international cap with Wales in November. If he does leave, ​City would have made a mammoth £145.9m in academy player sales since 2015. The report comes from The Times who claim that ​Schalke want to seal a deal for the teenager before the transfer window closes on Thursday night. City are ready to make the deal, but are said to be keen on including a buyback clause of about £26m in the player’s contract. 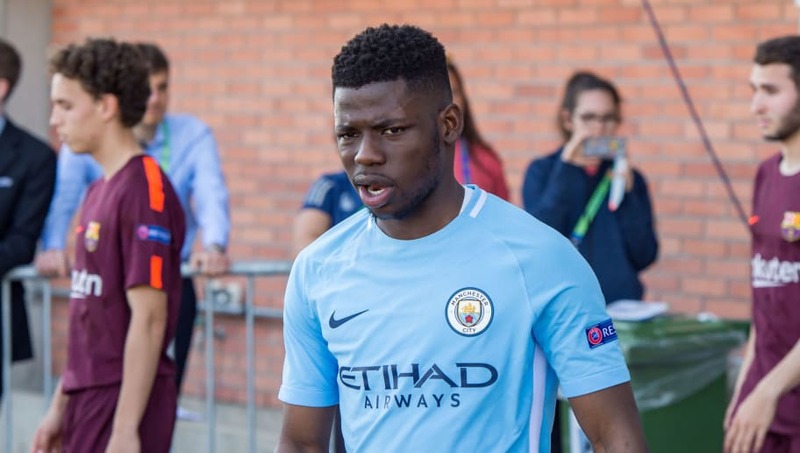 Of course, if the deal does go through, Matondo will not be the first City academy graduate to move to a German club in recent times. Jadon Sancho, who has since gone on to become an England international, left City for ​Borussia Dortmund for about £8m in August 2017 - his development is why City will be keen to have a reasonable buyback clause in Matondo's contract. The 18-year-old will become the 14th academy player that the club have sold since the summer of 2015. The biggest fee City have received for an academy graduate so far was the £25m that ​Leicester City paid for ​Kelechi Iheanacho in 2017. And Matondo won't even be the first youngster to leave the club this month. Brahim Díaz, a 19-year-old forward, joined ​Real Madrid after becoming annoyed at starting just four games in his five-and-a-half-year spell at City - Matondo has sighted a similar reason for his impending departure. Despite this, Guardiola has insisted that the high number of academy player sales is no bad thing for him or the club. “That is a good sign of how good this club is working,” he explained.